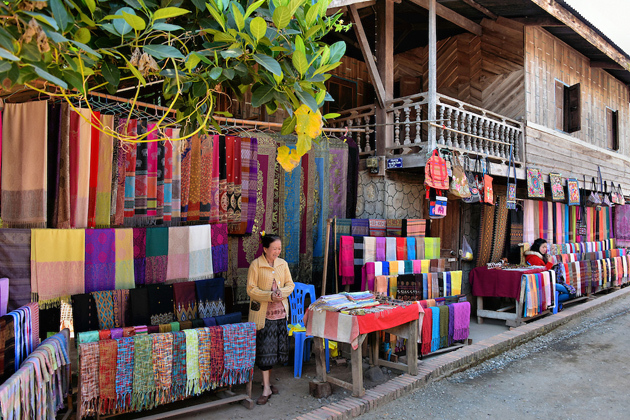 If you are interested in picking up traditional handicrafts, Laos is an ideal destination for you. Hill tribe silks, arts, crafts, jewelry.. are something that unique to Laos and its ethnic minorities. 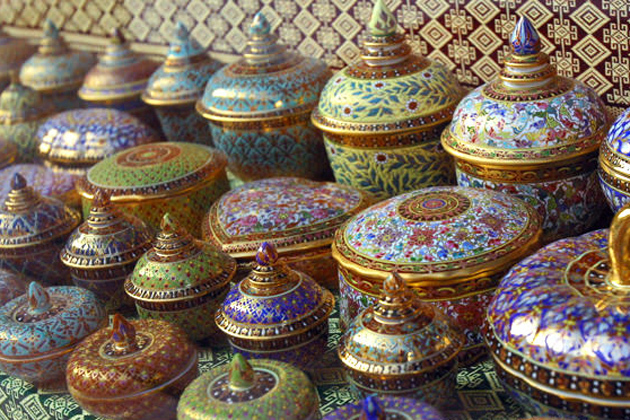 These following are the top ten souvenirs to buy during your travel in Laos. Phaa sin – a wraparound skirt worn with the silver belt is the traditional dress of Lao women. You can see Lao students within, your Laos school trips, tend to wear the wraparound skirt, that’s the reason why Phaa sin and their belts make popular souvenirs and nowadays are widely available in most markets and small shops around the country (especially in the Morning Market of Vientiane). They are all carefully originated using techniques that have been honed and developed in the country since the 14th century. From simple to aesthetic and highly unspiritual, carvings in Laos are the wide variety of impressive pieces made of wood, bone, and stone. 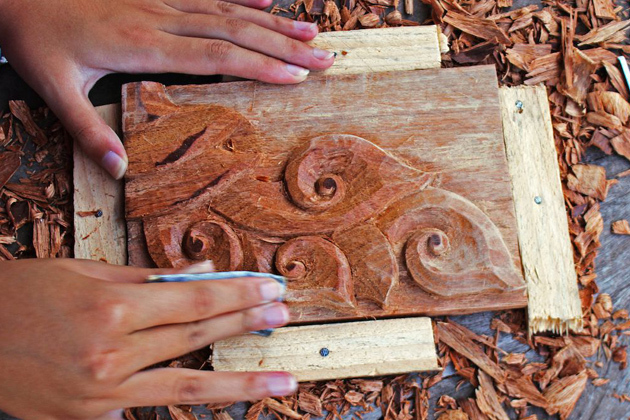 Lao craftsmen can carve all things in their daily life or their belief. For instance, religious imagery and figures such as Buddha provide the subject and source of inspiration, but authentic optimum pipes which are for ornamental purposes are full of mundaneness. However, ivory carvings will be banned and confiscated by most countries if found in your luggage, so be a smart customer to protect our natural environment. 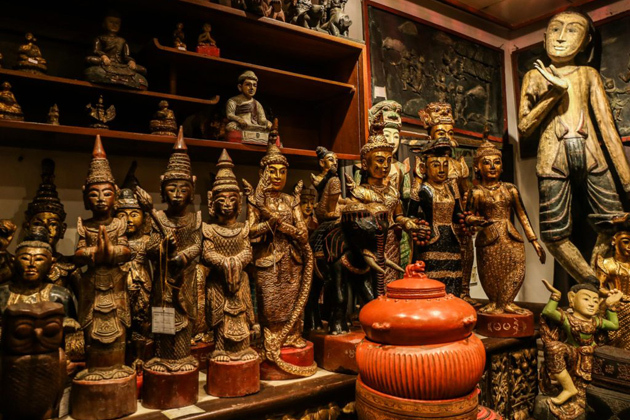 There are many antique stores opened around the bigger cities of Vientiane, Luang Prabang and Savannaket. 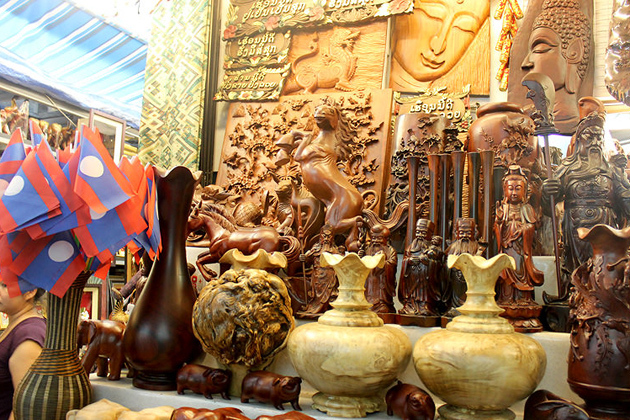 In all these stores, tourists can find clothes, Asian pottery, musical instruments or even carvings and ancient coins. Please notice that all these antiques are not for sale or souvenirs, they are for show off only. Fines are enforced to those caught trying to leave the country with Lao antiques or Buddhist artifacts. The majority of jewelry shops are to be found along Samsenthai Street and trade primarily in silver and gold. 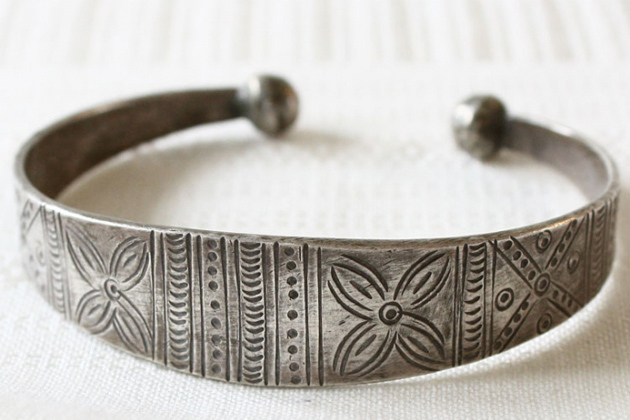 The crafting of gold and silver jewelry is another skill that several hill tribes in Laos excel. Thousands of years ago, they used gold and silver for portable wealth or inheritance purposes. Lao gold is known for its 99.99% purity and is sold at a set price per gram. Visitors can get plenty of gemstones, gold or silver pieces of jewelry designed and customized by themselves. And it is worth remembering that jewelry here is not a cheap souvenir. When taking a Laos tour package, do not forget to bring some coffee back for the souvenir. Laos is known as the best place in Southeast Asia to grow coffee. Laos Coffee is sometimes called Paksong since it is usually cultivated around the town of Paksong on the Boloven Plateau. 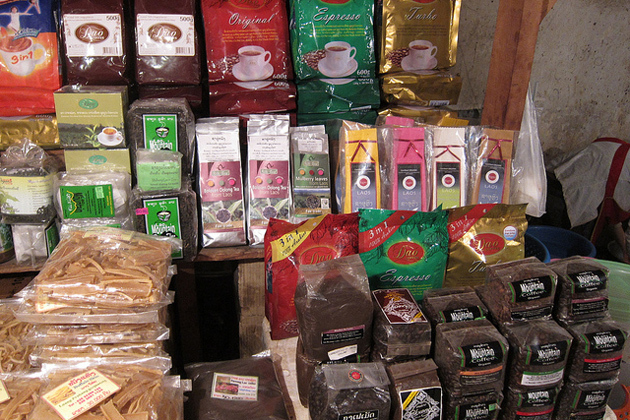 The duty-free shop in Savannakhet offers a wide choice of Lao beans so tourists can find the flavored coffee that they wish to try or take away. 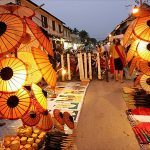 Luang Prabang’s markets also deal in handicrafts or some other souvenirs. You can take part in a night market such as Thalat Sonpao or Thalat Dalat, where Laotian ethnic minorities show and sell their handicrafts. Visitors can find some unique mementos like hand-sewn bedding, bags, rings, even accessories. 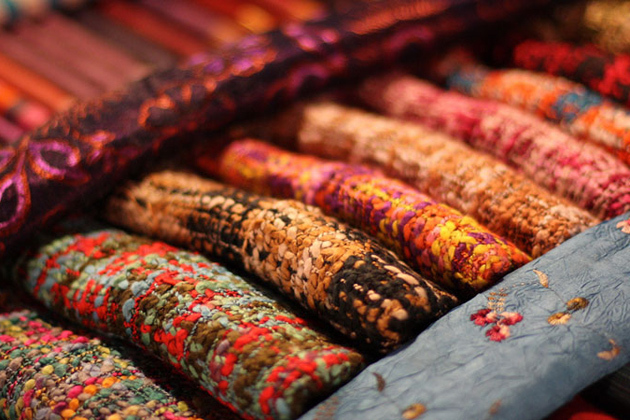 Silk is woven by the traditional methods in small workshops or homes throughout the country. The art of weaving is still much more than a home industry, which makes the smallest communities own the finest silk and cotton weavers in the world. 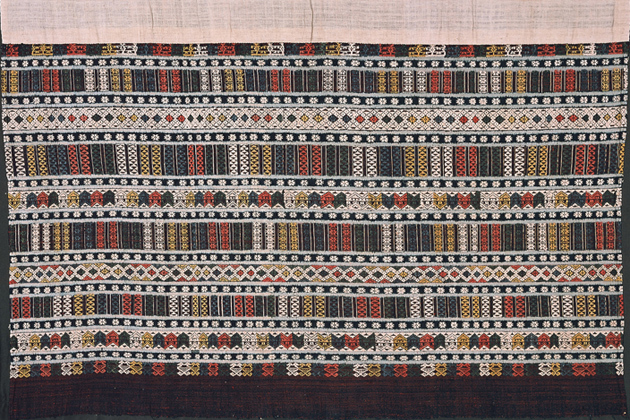 Textiles in Laos are used in the ceremony as identifier thousands of years ago, so they are sent as a gift for ceremonial purposes such as birth or marriage. Traditional designs and patterns change from place to place and the best area to buy is direct from the weavers in every village although they can be found in most markets, hotels or stores around Laos. Another tradition – shawl – is an age-old cotton fabric production. Classic designs and patterns of shawls include symbols like diamonds, birds, snakes, elephants and other animals and flowers. Shawls are the second way of wearing woven, which can be silk or cotton blending with silk brocading. Visitors can buy Shawls at every corner of Laos, they are shown in prosperous markets of Vientiane, Luang Prabang, Sam Neua areas or local markets around the country. 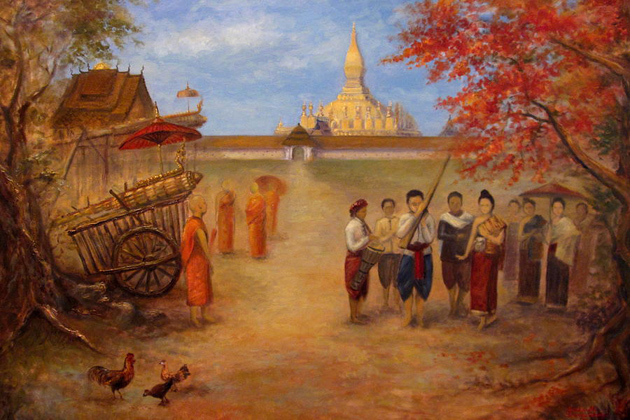 Paintings made by local artists are worth buying when you are doing a tour in Laos. They are easily picked up at night markets and often sold by the river. If you wish to buy something in Laos for souvenirs, paintings are deserved to be on the top list. However, if visitors desire something of high quality, going to the galleries or some exhibition is a better choice. Most paintings at Art School of the National University is also a talent decision. First uncovered in 1970 at a construction site of Vientiane Area, Laos ceramics was professionally developed through the history. When in Laos, ceramic will be a graceful choice for souvenirs, since most of them are handmade productions of local people. Tourists can buy flower vase or bracelet for their friends and family, they can be shown at Night Market or many local markets all around the country. Beer Laos is absolutely the most popular specialty in Laos. You can easily recognize the yellow advertisements in every corner of the country from umbrellas, billboards, restaurant signs to napkin holders. 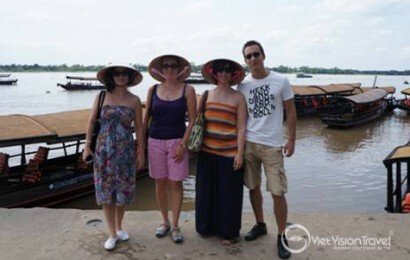 Visiting Laos, do not forget to pick up a Beer Lao T-shirt to remind yourself of the amazing taste of this specialty. It is also a cute souvenir for your friend, even your lover. Bamboo weaving is an important craft of Laos people because they use the woven basket to store glutinous sticky rice at home. Because the bamboo is grown in many areas throughout the country and the price is quite cheap, basketry becomes an ideal souvenir for all types of tourists. Unlike the textile weaving, bamboo weaving is often done by men. Attend a class or visit a workshop of Backstreet Academy or Ock Pop Tok in Luang Prabang if you want to try your hand at basket weaving. Remember to choose a beautiful bamboo and rattan vessels for your family members.